Costa Rica tarpon will eat many well presented flies, but they will attack these UV treated flies. Some days they just need a little extra buggyness, or fishyness to pull the trigger and eat, thats where UV reflection is key, they can see it even though humans can’t. 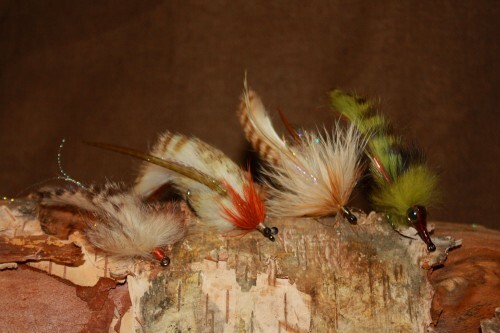 We also put a little extra weight on some of the flies as you may be fishing deeper water outside the river mouths. That’s partly why these US made are worth the extra dough – yes these flies are made right here in the US by real US tarpon fishermen. We get it, we have been there! Fifteen flies hand tuned for Costa Rica tarpon, picked based on the time of year you are there, and the lodge you are visiting. 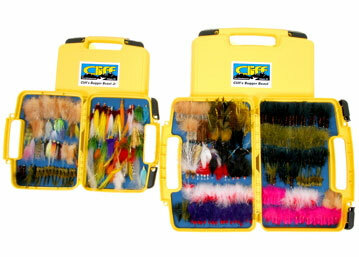 Choose the 15 fly, $100 standard selection in a Cliff’s Bigger Barn Box (a $122 value) or the 21 fly $150 extended selection in a Cliff’s Bugger Barn Box ( a $177 value) or the master selection of 30 flies for $200 in a Cliff’s Beast Jr box (a $249 value) . You don’t get many shots at these magnificent beasts so don’t skimp on the flies. We use Owner hooks even though they are 4 times more expensive than other hooks, the UV materials reflect UV Light (which tarpon can see) makes them visible from greater distance, the amount of material makes them feel fishy as soon as you open the box…! SKU: N/A. 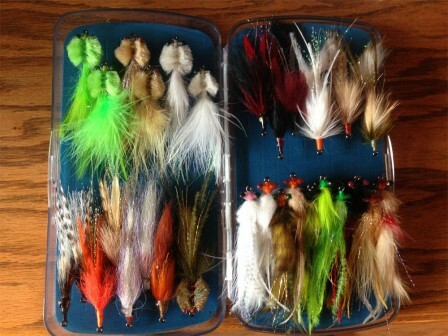 Category: Costa Rica Fly Selections. 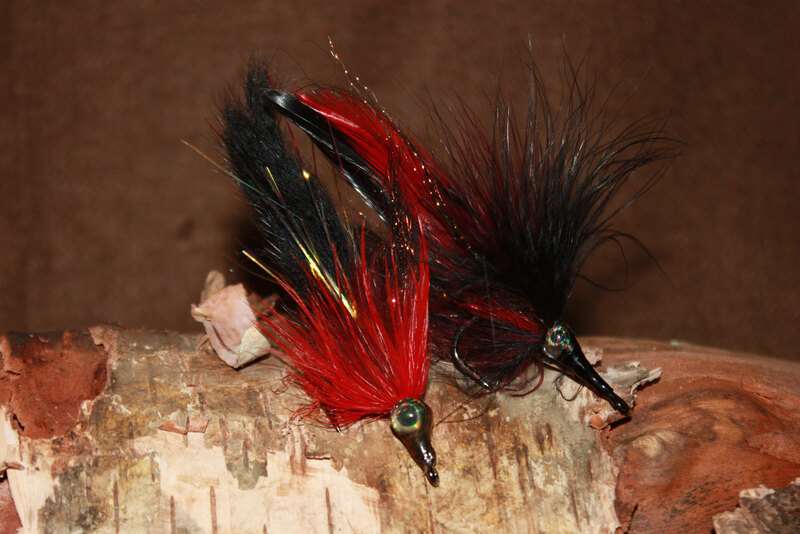 The Tarpon Toad has been around the block but it set a standard for a modern tarpon fly. Gary Merriman of the Fish Hawk fly shop deserves credit for the tarpon version of the fly, with Del Brown and Harry Spears for their permit and bonefish patterns that the toad was eventually based on. Today we can take it one step further with UV, Ultraviolet light and tarpon appear to be able to see this spectrum even us humans can’t. The idea of a toad is a pattern that will not sink fast. We like this for tarpon fishing for 2 reasons; leading spooky fish by a mile is sometimes the only way to go and a tarpon toad won’t sink too fast while waiting for that fish to arrive, and when it is stripped it doesn’t bounce(jig) up and down. It can be stripped slow and wiggly to hypnotize a tarpon into eating it or it can be stripped like a bait fish. It moves even without moving. 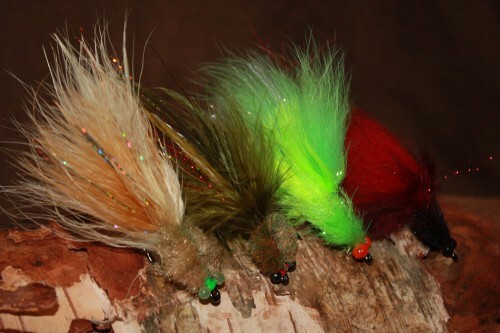 If I had to choose one fly it would be a toad, which color? Chartreuse. This modern take on this fly uses UV materials and owner hooks and is hand tied in the US. The Black Death is pretty much on every tarpon guides list of must have and this is especially true in Belize. The original Stu Apte version has been updated and we use both the classic saddle hackle tail and a bunny tail with new emphasis on the flowing marabou or bunny collar giving it a little more push in the water ands well as extra movement. This pattern is used mostly in low light conditions, or stained water but I am never surprised to see shallow, clear water poons grab it. Scientists think that tarpon can’t see red but do see ultraviolet light, so why does red and black work so well? Beats me, but we put in some ultraviolet materials to cover all the bases. 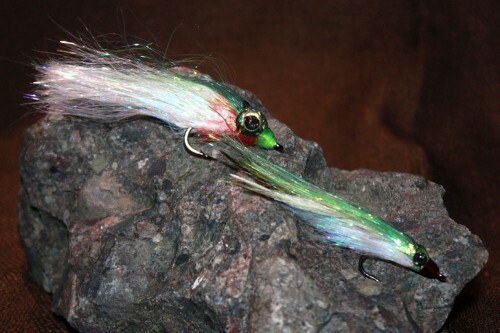 The NSG “Not So Gummy” Minnow is a real baitfish pattern, one of the favorite foods for Costa Rica tarpon is the “sardine” a basic silver baitfish from 2 to 8 inches. I love this pattern when the big tarpon are near the surface busting bait. They seem to like it better than the real thing! Ultra violet materials must help. 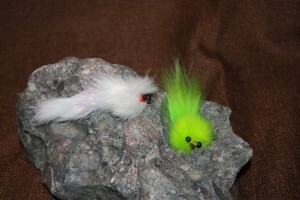 It also work well on snook and has even caught permit in smaller sizes. You can’t leave the dock without a few of these babies in the box. 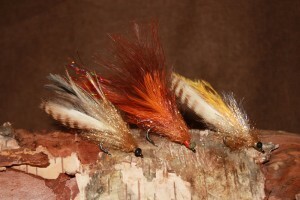 If tarpon are spooky I go smaller, then smaller, then I go to these realistic imitations to entice them to eat. The Trouble with Tribble is a reference to a cuddly Star Trek pet that this fly feels like. It is fluffy and moves and ripples with action the moment it i twitched. The bigger head will push some water which can be very important in Costa Rica. When a toad isn’t quite right but you still want lots of action tie one of these boys on and give it a go… get it at the poons eye level and strip slow for those hard to fool fish, or start stripping as soon as it hits the water, it works both ways. A truly unique fly that will soon be your go to tarpon fly with UV materials, sharp hooks and oh yes, tied in the USA with love! The tarpon slider is a nice option that will move a lot of water when it is stripped. The “toadesque” head will keep it from sinking real fast. We love this pattern in rust for tannin stained waters in Costa Rica but it is also at home in the clear water outside the river mouth. That little bit of UV fiber can be seen at great distance through the stained water. Strip this fly at a decent clip through dark water and watch the bulge of water behind it, that bulge will soon turn into a huge tarpon mouth engulfing the fly. Hold on! 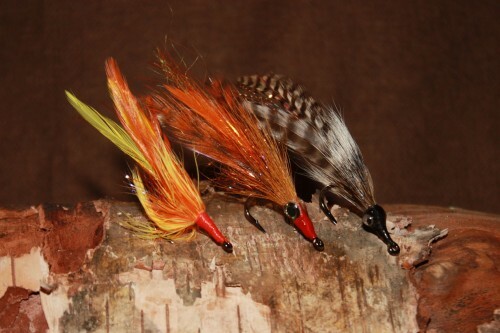 The tied and true Cockroach – Ok tried and true! Not much needs to be said about the cockroach, the design is no secret, it just works. Don’t fix it if it works but oops, we did. Yes UV material. we tie this pattern in a few colors, classic, rust, olive, tan, white and even black sometimes. What does a buggy tied cockroach, a sharp hook, and a perfect cast lead to? Sabolo in the air trying to fling that feathery thing out of its mouth! Game on! Tied with a twist here in the USA, by a US citizen who loves to fish for tarpon. What more do you need to know? Gotta have some bunny flies, gotta tie them with owner hooks, gotta have some UV in it and lets put some barred rabbit on it for kicks. The ultimate search and rescue fly for tarpon throughout Belize. We tie it in chartreuse, black, tan, white, rust, and natural. Your guide will cut the tail to length, admire the Owner hook but won’t know why it works a little better because he can’t see the UV reflections like a tarpon can. Tied in the USA like all of our flies.